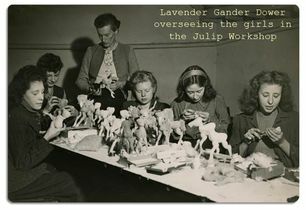 Julip Horses began with Lavender Dower producing a line of flexible fabric and suede animals in 1945; one of these, a foal named Julip, was later featured in his own story book. Around 1950, they began to focus more on equines and their accessories, in various scales. Challenged by Edith Reynolds' scale-model, skin-covered productions, Julip Ltd. started another company, Julip Associates, to produce a new line of competitive merchandise. They traded the fabric of their old models for a latex skin, but retained the lead armature, keeping the models flexible. This new line was ready just in time for Christmas of 1952. Where before Julip had been making mascots for adults, now they found the majority of their customer base to be made up of children, and they adapted accordingly. 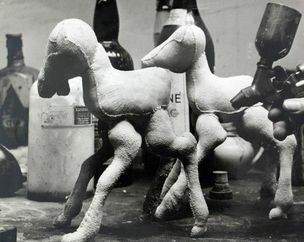 Custom orders were offered, and by 1953, a range of breed-specific models were augmenting the first few generic horses and ponies. The line continued to diversify with riders, tack, pets, and other accessories being added over the years. In response to increasingly strict saftey standards for children's toys, the lead wiring was replaced with a non-toxic alternative sometime before the 1961 ban. In 1965 Julip was sold to Mr. and Mrs. Heath who moved the workshop from Knightsbridge to Braishfield; the shop in Knightsbridge was retained as a showroom and distribution center. The growth of the business required larger quarters, so in 1971 the Knightsbridge shop was leased and a new facility was obtained in Salisbury; the new tenant of the shop continued to stock and display Julips until retirement in 1996. Julip's final move with the Heaths was to Devon in 1980. A few years later, in the summer of 1984 the company was sold to a mother/daughter team, Sally Green and Annabel Levaux. 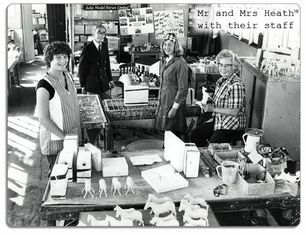 During the summer mother and daughter completed their apprenticeship with the Heaths in the latter's Newton Abbot workshop; once they had mastered the production process they brought Julip home with them to West Dorset. In 1988, restrictive toy laws began again to threaten Julip. A line of compliant "toy" models were designed and released in 1989 as the Horse of the Year range (referred to by collectors as HOTY models). The traditional Julip models were still produced, but as "collectibles", not toys. Over the next few years Julip relocated several times, once in 1993 from Dorset to Somerset, back to Dorset in 1999, and to another location in 2007. In 2001 Julip began to withdraw from supplying large retailers and focused more heavily on the ever expanding internet trade. 2013 brought a huge change when Julip split into two companies with Annabel retaining Julip Horses, Ltd. with the Horse of the Year line, and the formation of Julip Originals, which is owned and run by Laura Ibbitt near Sandhurst. Before she took up the reins of Julip Originals, Laura was (and still is) a Julip collector and fan. Annabel felt Laura's artistic skills and sympathy as a collector gave her the background she would need to breathe new life into the Originals line. 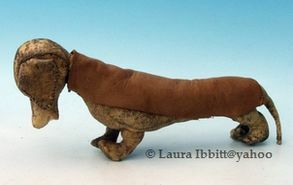 Julip Originals continues to produce the traditional flexible latex model horses, pets, riders and accessories. The entire range is produced by hand by Laura and her small, but dedicated staff. Each year has seen the introduction of new moulds, the reintroduction of discontinued moulds, new pets, and new accessories. The HOTY torch was passed on in September of 2015 when Stephanie Farr became the new director of Julip Horses, Ltd. Stephanie has been a Julip collector since she was very young and has quite a sizeable collection of her own. She became the new face of Julip Horses through a rather unlikely series of events. In 2012 Stephanie met her partner, Patrick Davies, and when the conversation eventually drifted around to model horses, imagine her surprise when she learned that Patrick was the nephew of none other than Annabel of Julip! Not only that, but that he had been working the Julip stand at the Olympia International Horse Show , so they must have met all unknowing many times when they were younger. When Patrick acquired the company in 2014, he turned the reins over to Stephanie. Talk about a dream come true for an avid Julip collector! Stephanie has big plans for Julip Horses, Ltd. in 2016. A new new HOTY range is in the works; models will be kept of the same quality and same style in order to maintain continuity within the range. There are also plans to restart production of the stables and boxes. Since 2017, things have gone quiet on the Julip Horses, Ltd. front, but collectors remain hopefull that that will change soon.